Are you looking dumpster for your home project or construction site Are you looking for a garbage elimination solution? You don’t need to look any further than our Baltimore dumpster rental solution. We offer the most popular dumpster sizes available for all jobs. Please give We Got Dumpsters a call today and we’ll have a roll-off dumpster delivered to you. • We offer sizes of 10-Yard, 15-Yard, 20-Yard and 30-Yard Dumpsters. • All-Inclusive rates with absolutely NO hidden cost. • Secure as many roll-off containers as needed for your job. • We always deliver outstanding customer service. • Perfect for cleaning-out your yard, attic or garage. • A small size that can fit virtually everywhere. • Dispose of small amounts of household and construction debris. Exterior measurements shown. Sizes may vary but total volume is correct. • Suitable for small clean-ups and remodels jobs. • Perfectly accommodates small demolition jobs. • Lower height helps make disposal easier. • A great size for remodeling and roofing jobs. • Makes dispose of light construction debris and household junk much easier. • Very useful for minor scale demolitions jobs. 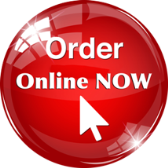 • Perfect for multiple remodel jobs or home renovation. • Will easily accommodate demolition debris and construction materials. • This size is appropriate for large-scale clean-outs. How can you find a dependable, economical dumpster rental service? Consider taking advantage of We Got Dumpsters broad inventory of dumpster rentals Baltimore MD. We generate such a high book of business that we can offer our affordable low rates to the homeowner or small business person. This allows We Got Dumpsters the ability to offer roll-off dumpsters at a cost that fits the budget of many jobs. In addition… Our cost to the customer is transparent. Our customers know the total cost of a dumpster rental before the order is secured. We make scheduling for a roll off dumpster rental very easy, you will never want to rent from another service. We Got Dumpsters – Junk Removal Baltimore delivers welcoming customer service, inexpensive rates, and the finest residential junk removal in DC MD & Northern Virginia. We like our recycle rates and our continued service to the public.  All you need do is make a call to (410) 720-9100 today to speak with one of our well-informed team members about your residential junk removal needs. Once we have looked over your job, we will give you a quote that cannot be beat for the level of service we offer. All that is left is watching our team get it done. Before you know it… the junk that has been driving you silly will be nothing but a recollection. You can feel good knowing you moved on in a responsible, Eco-friendly way using our family-owned local business. We Got Dumpsters is a family-owned and operated professional junk removal company serving the residential and commercial communities of Baltimore, Washington DC, Suburban Maryland and Northern Virginia areas. From providing a roll-off dumpster rental or removing minor incidentals or clearing-out entire garages, we can handle the whole process. Call us today at (410) 720-9100 for all your dumpster rental and junk removal needs.